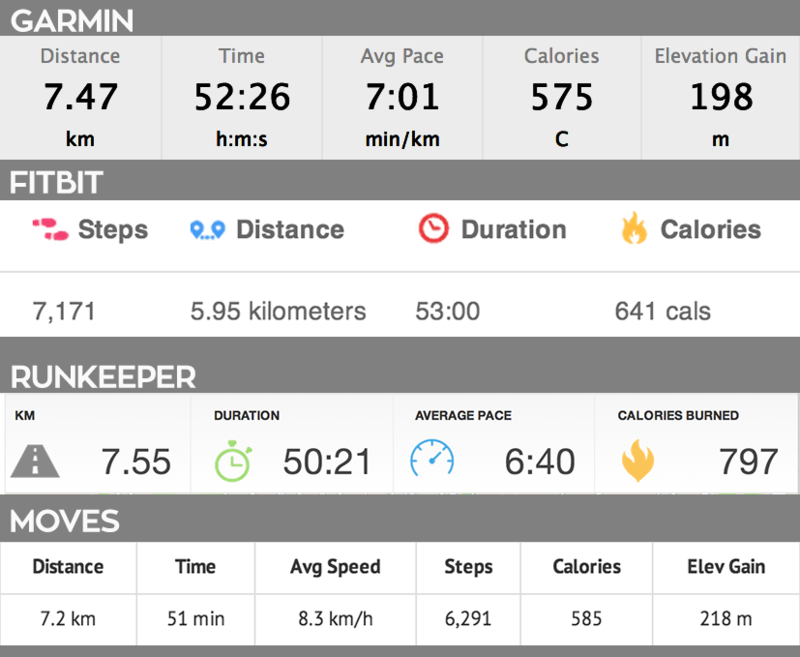 (Update: Scroll to the bottom for more results) I have long been mad for tracking pretty much anything, so when I started jogging, it was quite obvious I would be tracking my runs as well. I started with Moves (http://www.moves-app.com/) an iOS/Android app that tracks your steps all day long, but also can recognise running and cycling. 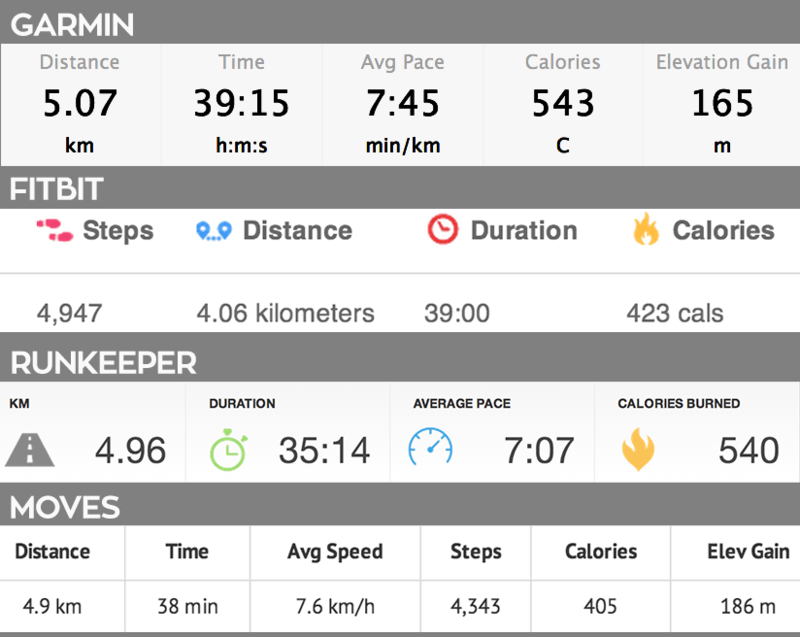 Later on, I added RunKeeper (http://runkeeper.com/) which allowed me to schedule runs and set goals. This January I was… upgraded with a Fitbit Force (http://www.fitbit.com/force), a wristband tracker with tracks steps, climbs, calories (through a calculation) and also your sleep. Finally, this week I’ve reached a final (?) level by getting a Garmin Forerunner 210 (http://garmin.com), GPS watch that also connects with a heart rate monitor. So today was the first time I used the Garmin. After getting the Fitbit Force I was only paying attention to the numbers it was giving me, ignoring the other apps. Since Fitbit is a dedicated tracker I never questioned if it would be better than an iOS app. 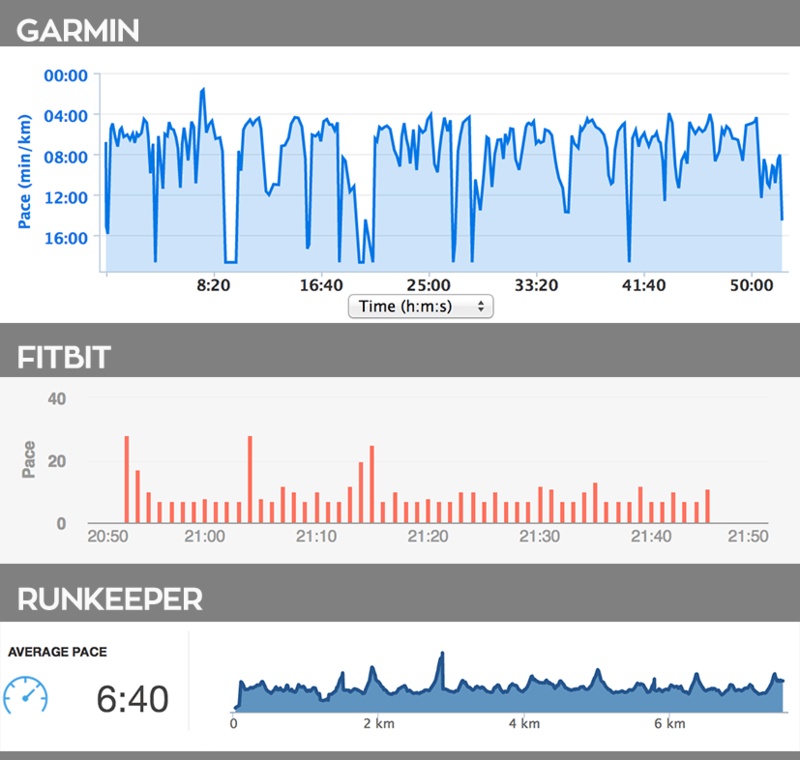 Today though it struck to do a comparison between all three methods: Garmin, Fitbit and iOS apps. I’m mainly surprised by two things: Fitbit getting the distance wrong and Moves getting the calories quite right. Garmin is for sure the best way to calculate the calories since it takes into account the heart rate. It’s also interesting to note the big difference in the step count between Fitbit and Moves. 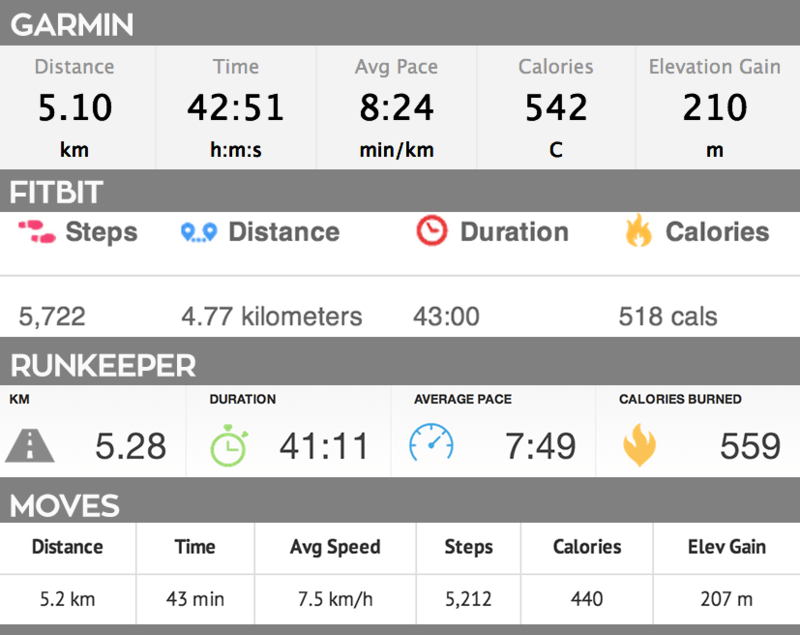 Here Garmin really shines by providing more accuracy while RunKeeper and Fitbit just round up numbers. If you have any experience with similar comparisons, drop them in the comments! Update 23/4: Probably the final update, two more comparisons, with the addition of Strava. 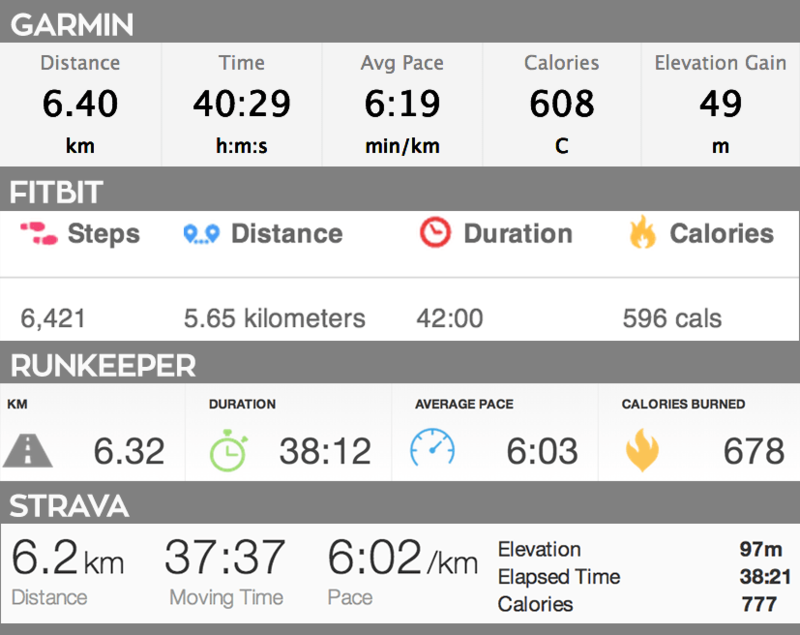 Here RunKeeper and Strava did not record anything, but instead the Garmin data was imported. In the last one, there was a glitch in Garmin’s data and the last point was marked way off the actual position. 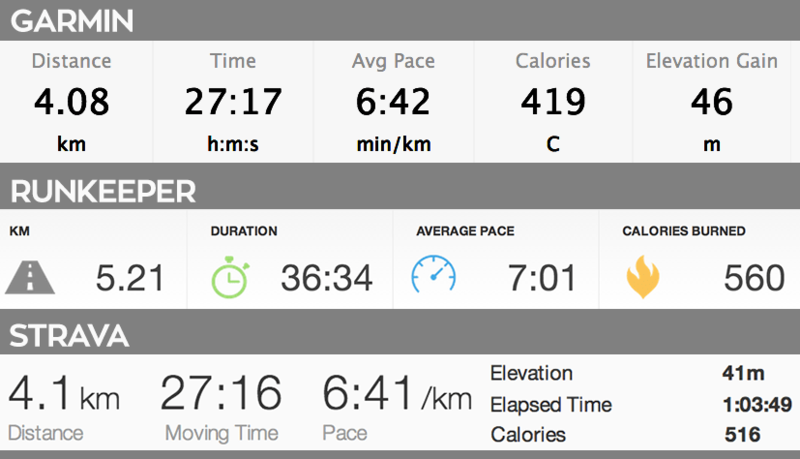 Apparently, RunKeeper ignores that total distance recorded in the Garmin file and just calculated the distance on it’s own. Conclusion: Each device/app will use it’s own algorithms to record data and calculate pace and calories. Even when you supposedly use the same base data, the end result is different. So, before you go crazy comparing stuff (like I did :), you might be better off to chose method and monitor your status. This entry was posted on Thursday, April 10th, 2014 at 1:29 am	and is filed under Technology. « « Previous: Is the new colour of your company taken?